Financially crippled Football Kenya Federation (FKF) is planning to purchase suits for delegates attending their upcoming Annual General Meeting. The federation has written to clubs to send name and suit-size of their representatives to the AGM scheduled for 27 October 2018 to facilitate the process. “Regarding the upcoming AGM scheduled for Saturday, October 27, 2018, we hereby request that you send the name and suit size of the delegate representing your club to the aforementioned meeting. Your prompt response is highly appreciated,” the email to clubs reads. Broke FKF has been pleading with the government to finance the national team, Harambee Stars, for the Afcon 2019 double-header qualifiers against Ethiopia. The team made it to Ethiopia for the first leg fixture slated for Wednesday in batches and failed to jointly camp in Kenya as the federation sought to minimize on spending. Foreign-based professionals flew directly to Ethiopia from their bases as the federation could not afford them air tickets to Nairobi before they could depart together to the neighboring country. In another recent spending that left questions handing over FKF’s priorities, the federation bought a second hand OB van for Ksh130 million at a time the Women Premier League had stalled due to lack of funds. 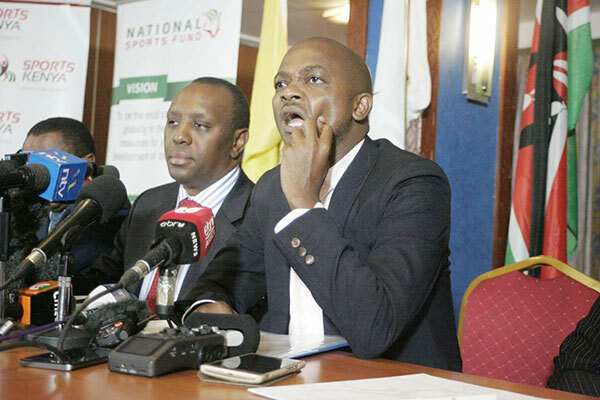 FKF accounts were frozen over four months back due to tax arrears amounting to Ksh41 million. The federation which lacks a sponsor has since struggled to pay staff and prepare national teams.